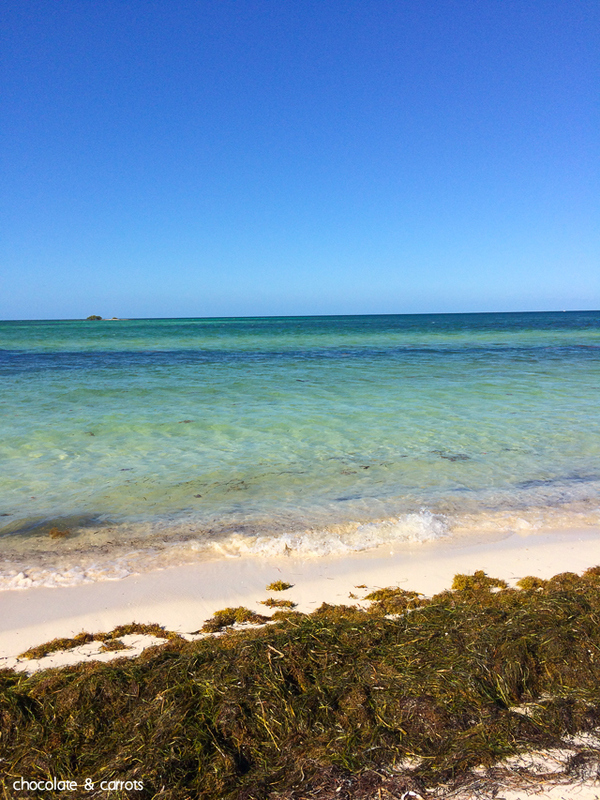 After a lovely day at Long Key State Park, our second day exploring the Florida Keys was spent at the infamous Bahia Honda State Park. 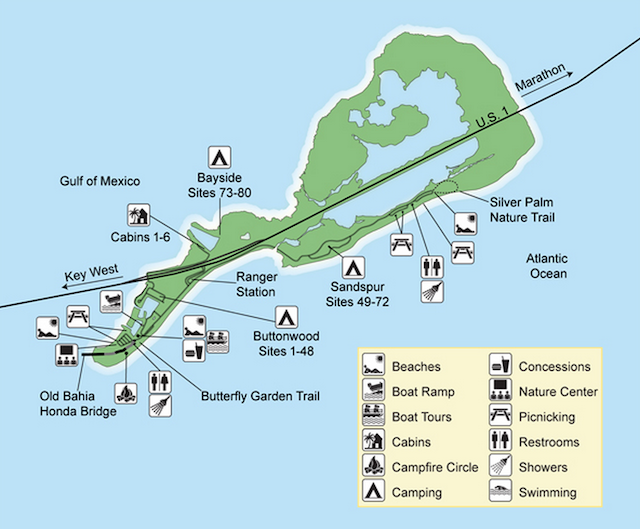 We arrived at Bahia Honda when it first opened at 8am and paid the $8 per vehicle fee plus the 50 cents per person fee. We first parked and walked to the beach off of the Butterfly Garden Trail. This beach was stunning (see the last photograph on this page) with view of both the Old Bahia Honda Bridge and little islands in the ocean. Unfortunately, this beach had recently been tested for bacteria and the bacteria content was too high for swimming. We didn’t feel comfortable even playing on the beach here, so we walked to the Gulf of Mexico side of the park. 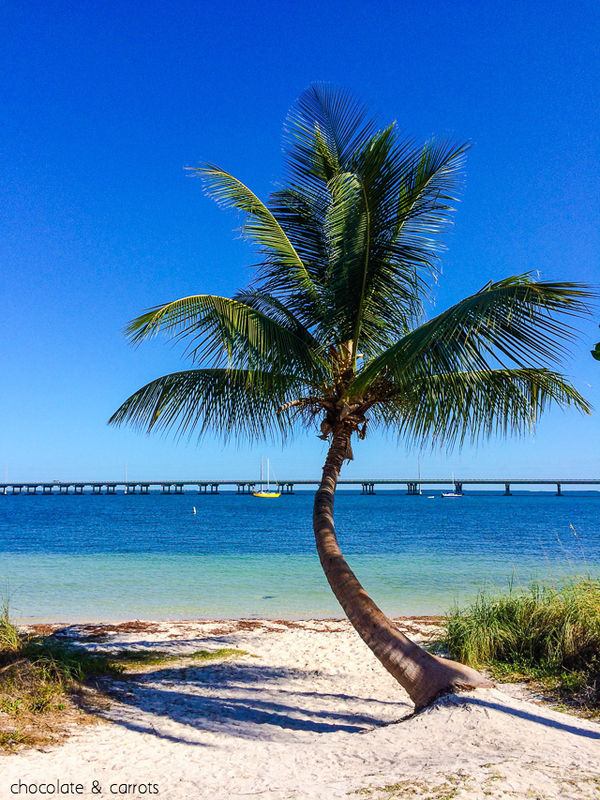 There, we still had great views of the Old Bahia Honda Bridge (and also of the Overseas Highway…not so pretty) and we settled in under the beautiful palm tree (in the photo below). There was a lot less sea grass on this beach and plenty of white sand for Liam to run around in. 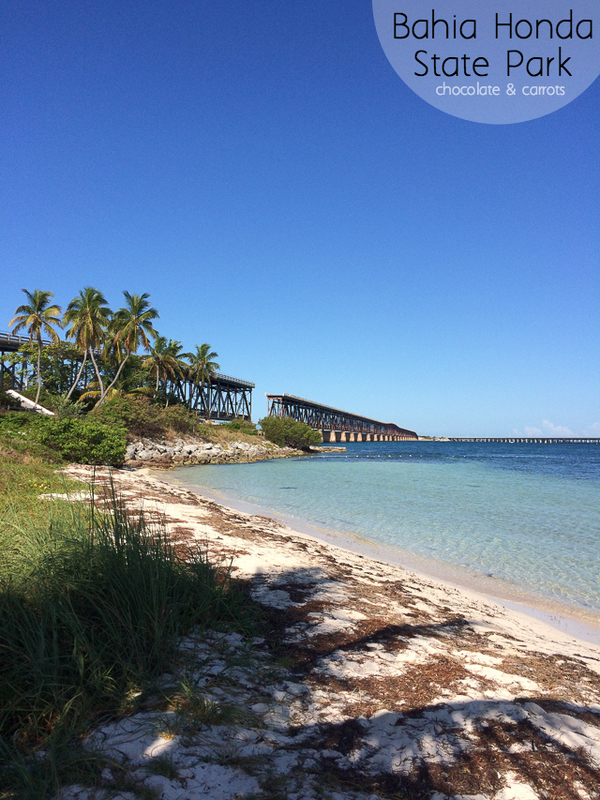 Bahia Honda was a lot more crowded than Long Key State Park, so be sure to get there early to stake out a spot on the beach. People were fighting over our spot under the palm tree as we were leaving. Crazy! Stay tuned for our adventure in Key West tomorrow! thank you for sharing these lovely photos. im sorry about your hotel experience on the earlier post. 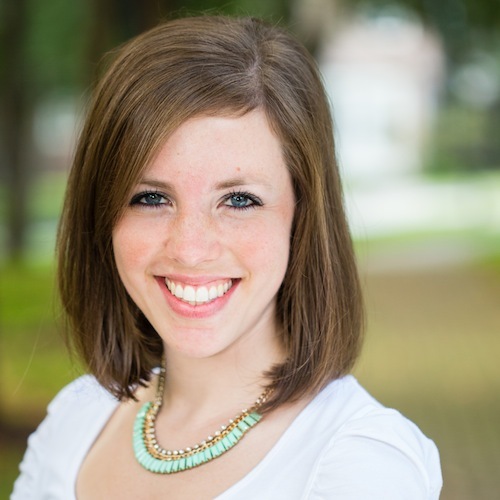 What a gorgeous celebration of life on this blog! Can’t wait to read more.